Magento will merge your values for the name=catalog-search-advanced-link node and name="label" node over the values in Magento’s original file. While this sort of merging happened with Magento 1’s config.xml tree, it did not happen with Magento 1’s layout update XML files. It’s hard to say if this is a technique developers should lean heavily on or not. 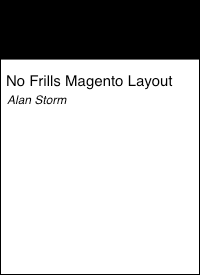 Most long-time Magento 1 developers avoided using these sort of layout merges in the config.xml tree due to a lack of clarity around how the merging rules worked. Questions like when does Magento add a new node vs. merging a node? Are node attribute values merged? If node attribute values are merged, does a missing node in the merged XML mean leave the old value, or remove the node? These same questions remain for Magento 2, with the added complexity that there are dozens of classes for XML loading and merging in M2. i.e. tracking down these merge rules is a non-trivial affair, and without any promise of future behavior from Magento’s core team the behavior could easily change out under you. Regardless of whether using XML merges is a good idea, you will encounter third party Magento code that uses them. Be sure you’re searching all the code in your system when you’re trying to track down block arguments.